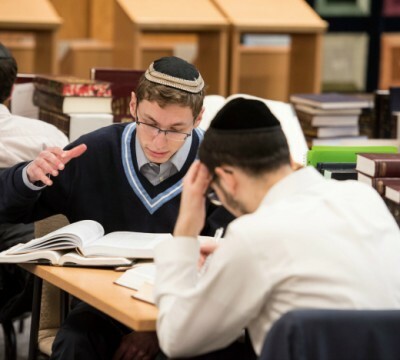 Finals were in the rear view and classes were out for the semester, but at Yeshiva University, Torah learning continued to light up campus during intersession. 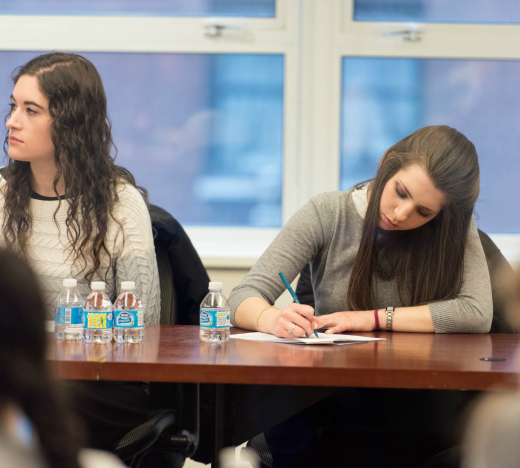 While most college students eagerly await the break between semesters, for undergraduates at YU, the window between classes offer an opportunity for a renewed focus on spiritual growth and Judaic studies in a relaxed and close-knit atmosphere. On the Wilf Campus, a program called Yeshivas Bein HaSemesterim provided students with new avenues for Torah study and fun bonding activities throughout winter break. 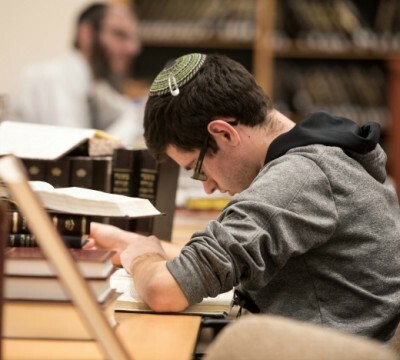 Each day featured a shiur in halacha, Jewish philosophy or mussar from YU roshei yeshiva, three seders of learning together and communal meals. 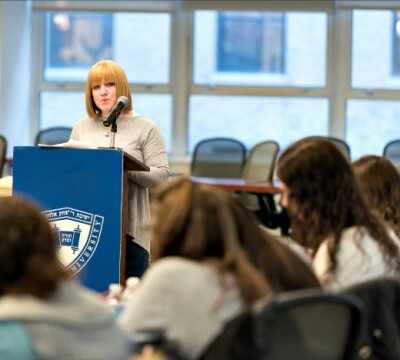 On the Israel Henry Beren Campus, a Yom Iyun organized by the Torah Activities Council and Office of Student Life on January 17 focused on living and learning through Tanach. The day featured speakers that included Rabbi Dr. Kenneth Brander, vice president of university and community life at YU; Nechama Price, director of Stern College for Women’s Graduate Program in Advanced Talmudic Study; Rabbi Yaakov Glasser, the David Mitzner Dean of the Center for Jewish Future; Dr. Deena Rabinovich, director of the Legacy Heritage Fund Jewish Educators Project; and Rabbi Moshe Tzvi Weinberg, mashgiach ruchani.